Antidepressant medications: What are they, and how they work? Antidepressant medications: What are they, and how do they work? Antidepressant medications, or ADs for short, are drugs designed to treat low mood. They are also sometimes used to prevent symptoms of depression from re-occurring. Whilst there are many different types of AD, they are each intended to have a mood-enhancing effect. This is why they are rarely recommended for bipolar depression, which is characterized by periods of elated mood as well as low periods. ADs can also be used to treat obsessive-compulsive disorder, generalized anxiety disorder, and post-traumatic stress disorder, as well as chronic pain. Each type of antidepressant works in a subtly different way. Broadly speaking, evidence suggests that no one type of drug is better than any other, but you may find that your body responds differently to different drugs. This means that for some people, a certain medication may work perfectly, and for others, it may not work at all. It also means that for some medications you might experience side effects, and for others you may not. Trials are currently ongoing to try to work out how these differences occur, and one day there may even be a blood test that will tell you which drug will work best for you. Unfortunately, until then, the best recommendation is a process of trial and error. If you are experiencing unpleasant side-effects from your antidepressant medication, do not stop taking your medication but do tell your prescribing doctor as soon as possible. They will work with you to come off the medication you are taking and start on a new course. There are six broad classifications of antidepressants, which each work on different combinations of pathways or neurotansmitters in the brain. The most common classification is known as selective serotonin reuptake inhibitors (SSRIs). Serotonin is one of the neurotransmitters thought to play a role in keeping mood stable. SSRIs work by blocking the re-absorption of serotonin once it has been released, which increases the amount of time that it is active for. This means that the mood-stabilising message keeps getting passed along in the brain. Drugs in this category include fluoxetine (Prozac), citalopram (Cipramil) and sertraline (Lustral). A similar, slightly newer class of ADs is serotonin-noradrenaline reuptake inhibitors (SNRIs), which have a double-action of limiting both serotonin and noradrenaline reuptake in the brain. Because SNRIs work to enhance the action of two separate neurotransmitters involved in normal mood regulation, it was thought that SNRIs would be more effective than SSRIs alone. Mysteriously, this does not appear to be the case: SSRIs and SNRIs have so far been found to be equally as effective. Common drugs in this category include venlafaxine (Efexor) and duloxetine (Cymbalta and Yentreve). Lesser-used types of AD include noradrenaline reuptake inhibitors (NARIs), and noradrenaline and specific serotonergic antidepressants (NaSSAs). NARIs work like SSRIs, except they prevent the reuptake of noradrenaline at the synapse, rather than serotonin. Noradrenaline is simply another neurotransmitter thought to be involved in the regulation of normal mood. NaSSAs achieve a similar effect using a slightly different mechanism, causing noradrenaline and serotonin to build up, so they can pass on more messages. The main drug currently prescribed in this category is mirtazapine (Zispin). Historically, tricyclic antidepressants (TCAs) and monoamine oxidase inhibitors (MAOIs) were used to treat depression, and they were found to be very effective. However, they are no longer recommended for most people due to their unpalatable side effects, and because they are more dangerous than other ADs when taken above the therapeutic dose. TCAs work like SNRIs, blocking the reuptake of serotonin and noradrenaline. MAOIs work a little differently, by blocking the effect of an enzyme responsible for breaking down neurotransmitters such as serotonin and dopamine. Both drugs allow the neurotransmitters to stay active for longer. Evidence is broadly supportive of antidepressant medication, with about 50% of those treated showing a favourable response1. However, there are a couple of caveats. Firstly, antidepressants are not thought to be very effective in mild to moderate cases of depression. Barbui and colleagues2 reviewed six studies comparing antidepressants to a sugar-pill placebo and found no evidence that antidepressants had a superior effect. For this group, the National Institute of Health and Clinical Excellence recommends that psychological therapies are used as the first line of treatment, as they have been shown to be more effective, and do not carry the same risk of side-effects. Secondly, antidepressants are not recommended for children. Cipriani and colleagues3 compared the results of a series of individual experiments looking at the effectiveness of medication, and found that with the exception of one drug (fluoxetine), antidepressants were not effective in treating this patient group. Worryingly, some antidepressants had serious side effects including, rarely, feelings of suicidality. Except in very severe cases, it is recommended that children experiencing low mood receive psychological treatment first of all. Unfortunately, all antidepressants are associated with the risk of certain side effects. On balance, most people report that the benefits outweigh the costs, but occasionally this is not the case. Common side effects such as reduced libido and sexual dysfunctioning, digestive disturbance, and headaches can be particularly unpalatable. If you are suffering from side effects it is important to speak to your doctor before you stop taking your medication, as this may need to be reduced gradually. Remember, too, that it can take several weeks for antidepressants to start to take their full effect, so don’t be put off if they don’t start working immediately. 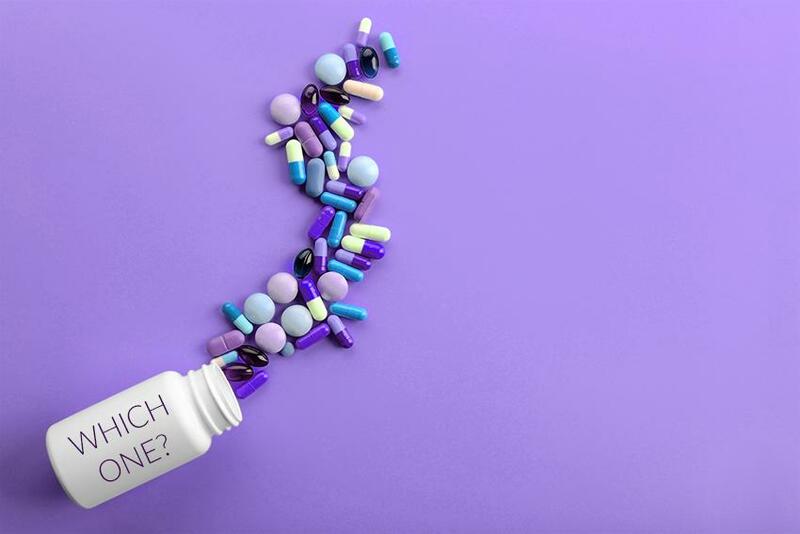 Side effects are not always bad, and it might be that your doctor prescribes a certain type of antidepressant because it is associated with certain effects and might therefore help to tackle other problems that you are experiencing. For example, medications such as mirtazapine can make you feel sleepy, so these can be good to take at night if you are suffering from sleep disturbances. Others can increase your appetite and cause weight gain, which can be helpful if your depression has caused you to lose weight. 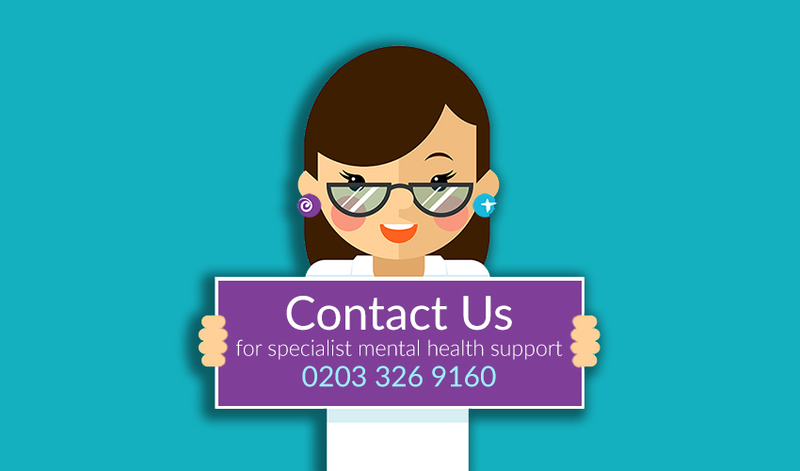 If you think you might be suffering with depression and would like specialist mental health support, call 0203 326 9160 to see how we can help. 1 Otte, C., Gold, S.M., Penninx, B.W., Pariante, C.M., Etkin, A., Fava, M., Mohr, D.C. and Schatzberg, A.F., 2016. Major depressive disorder. Nature reviews. Disease primers, 2, p.16065. 2 Barbui, C., Cipriani, A., Patel, V., Ayuso-Mateos, J. L., & van Ommeren, M. (2011). Efficacy of antidepressants and benzodiazepines in minor depression: systematic review and meta-analysis. The British Journal of Psychiatry, 198(1), 11-16. 3 Cipriani, A., Zhou, X., Del Giovane, C., Hetrick, S.E., Qin, B., Whittington, C., et al. (2016). Comparative efficacy and tolerability of antidepressants for major depressive disorder in children and adolescents: a network meta-analysis. Lancet 8.